KEYPOCC President Terry Hawkins from Christiana Care Health Services, hosted and Sheila Coffman, MT (ASCP) presented at our first ever webinar on December 8, 2010. More than 100 people registered and we had a spirited discussion with lots of good questions and issues talked about. If you missed the webinar, or would like to hear it again, click on the appropriate link below. There's also a link for Sheila's slides that you can download. Other tidbits of POC information aimed at providing insight into improvement opportunities. 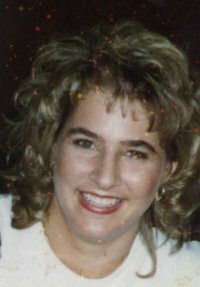 About our Speaker: Sheila Coffman is a former Point of Care Coordinator from University Hospital in San Antonio, Texas. She transitioned to the industry side of POC working as Director of Clinical Services at QAS, Inc. (an Inverness Medical company). Most of her years in POC have been spent in coagulation supporting professionals and also patients self-testing. She has worked as a consultant in the field of POC for development of medical devices, regulatory guidance, technical writing and presenting. Currently, she is working at Abbott Point of Care in Field Support Services. Sheila currently serves as a Faculty Advisor for the AACC CPOCT Point of Care Specialist Certificate program and is also working on a CLSI document for Point of Care.